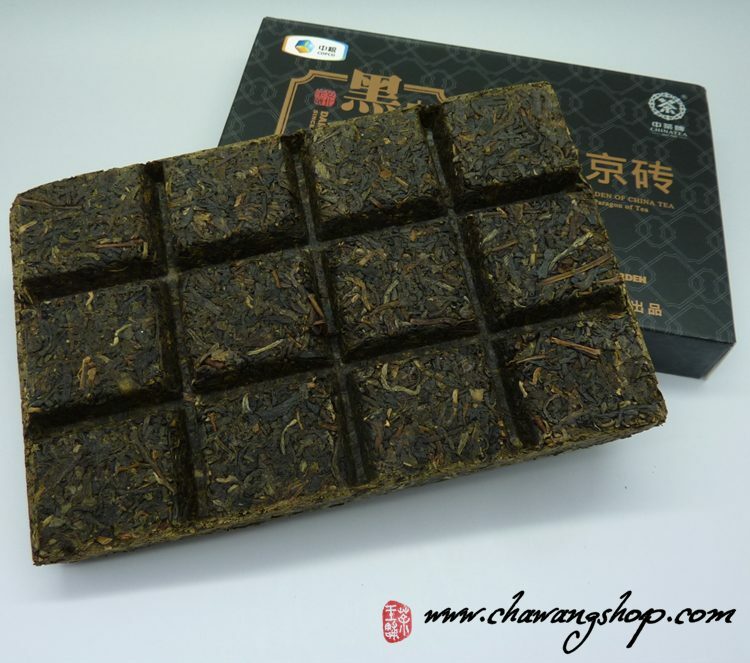 This is a highest quality dark tea brick from CNNP Hunan Tea Factory. Spring material with many silver buds and dark leaves. Dry leaves have heavy dry fruit aroma. Tea soup is clean and deep yellow color. Soft and mellow, full in mouth. 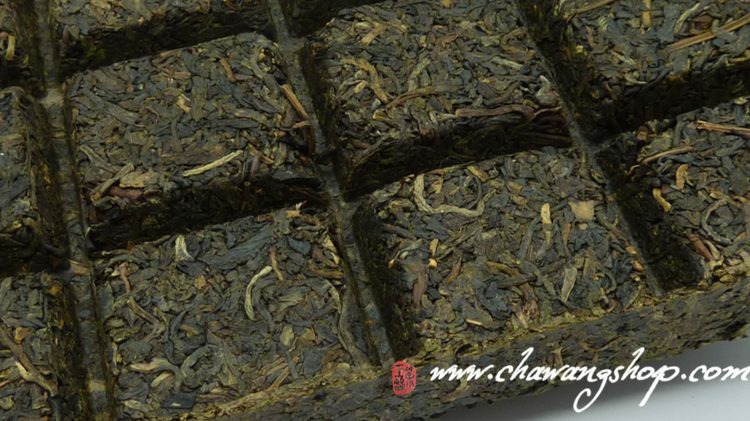 Sweet and aromatic, very pleasant tea! 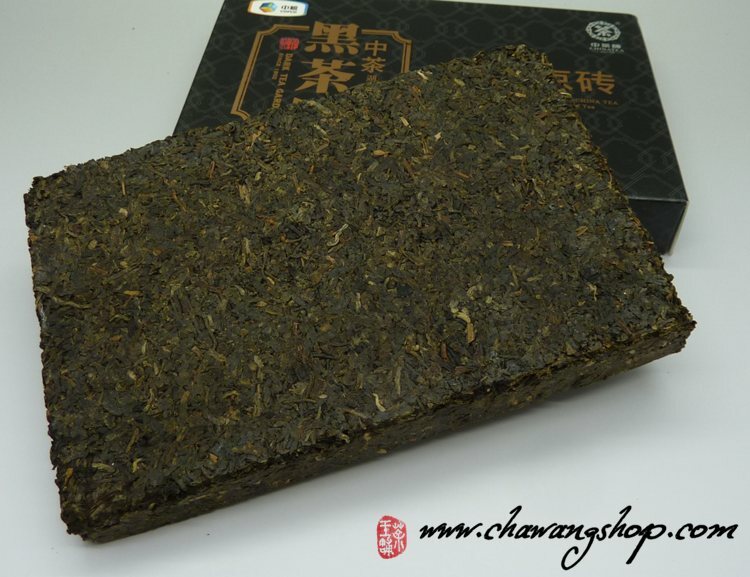 Please use cha zhen (pick), open the brick carefully. We recommend use 6g for 150cc. 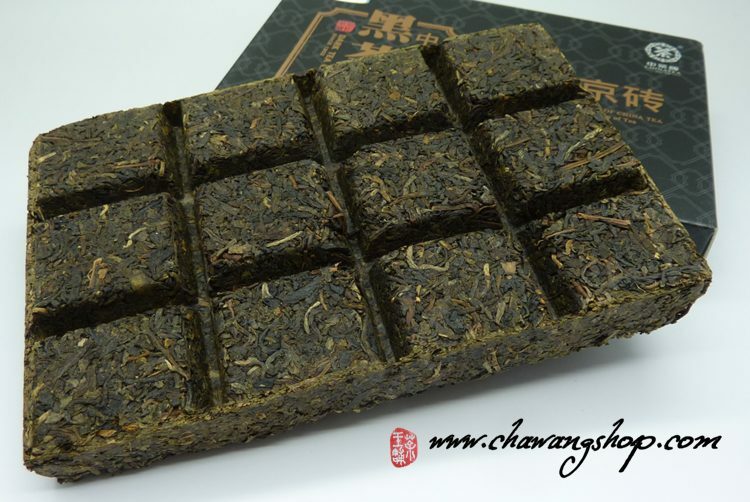 This tea brick can drink now or storage for many years like raw puerh tea.